After what feels like an eternity, the highly anticipated new film in the Planet of the Apes series has arrived. That's right, we now have our first proper glimpse of Matt Reeves's War for the Planet of the Apes via its first official trailer. With lead ape Caesar starting with some seriously grim apocalyptic narration, the trailer gets real intense, real fast. We soon have a solider boy Woody Harrelson shaving his head and leading an army of gun-totting humans against all of apekind. And if you couldn't tell from the title of this instalment, the film definitely is focusing on war via some violent ape vs. man action, which we get an eyeful of in the trailer. War for the Planet of the Apes follows 2014's rather incredible Dawn of the Planet of the Apes, and you can get a promising glimpse of things to come below. 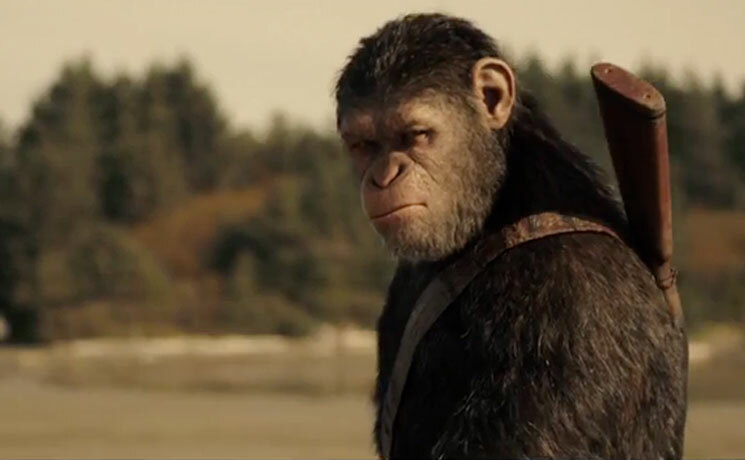 War for the Planet of the Apes will hit theaters via 20th Century Fox on July 14, 2017.